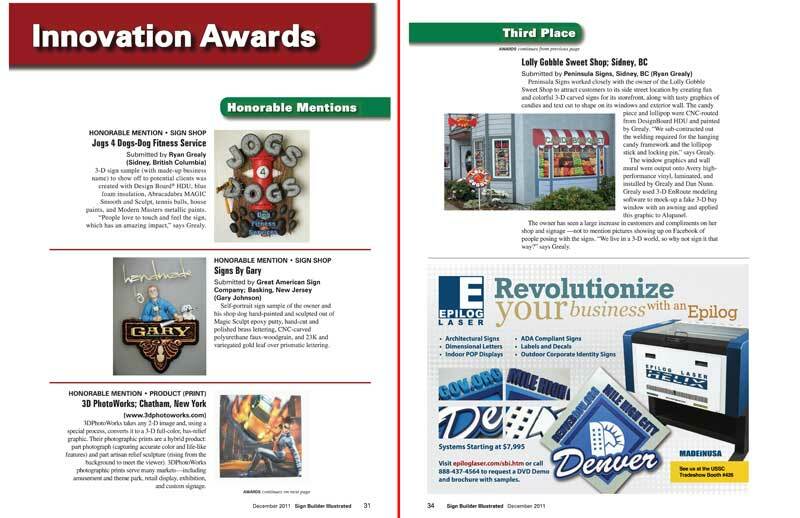 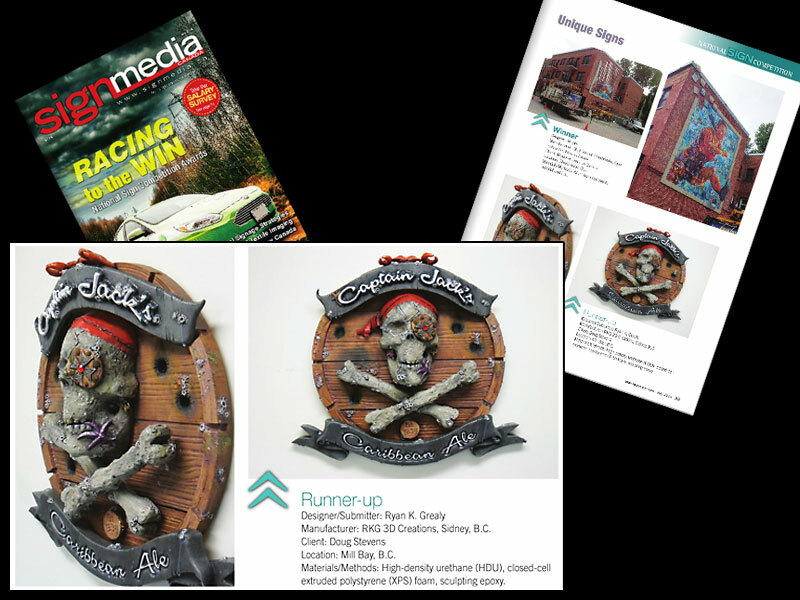 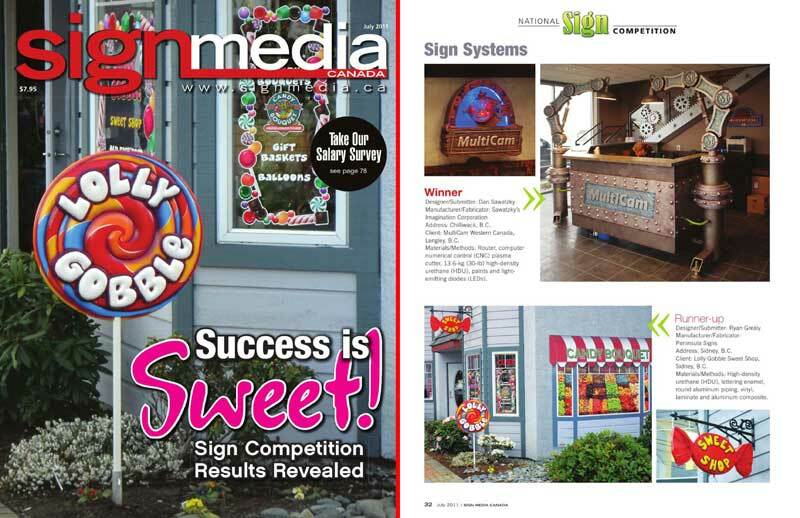 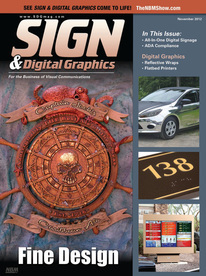 Award Winning Signs - Sign Awards - 3D Signs Awards - SignCraft Magazine - Sign Builders Magazine - SignMedia Magazine - RKG 3D Creations - AWARD WINNING 3D SIGNS, DIMENSIONAL CARVINGS & 3-D CREATIONS! 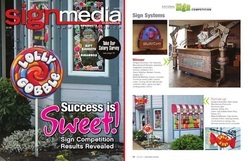 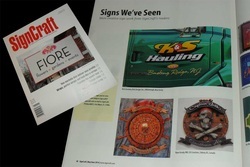 AWARD WINNING 3D SIGNS, DIMENSIONAL CARVINGS & 3-D CREATIONS! 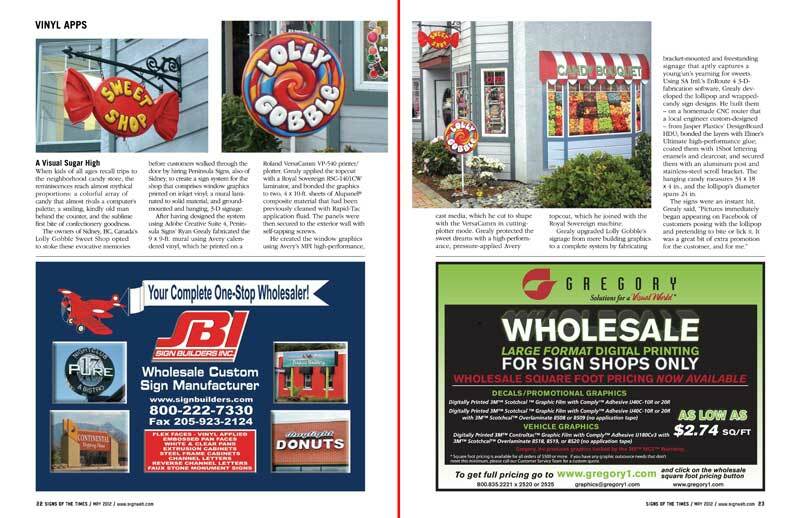 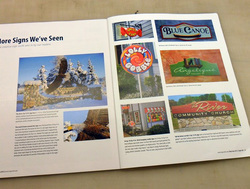 Featured in "Signs We've Seen"
Featured in the magazines "Vinyl Apps" column. 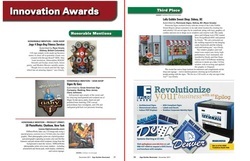 I was honoured to be featured on EnRoute Software's web site in the Case Study section. 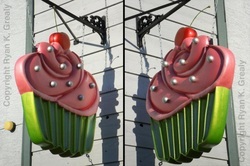 Last year I entered my Ooh La La cupcake sign into a Modern Masters Contest. 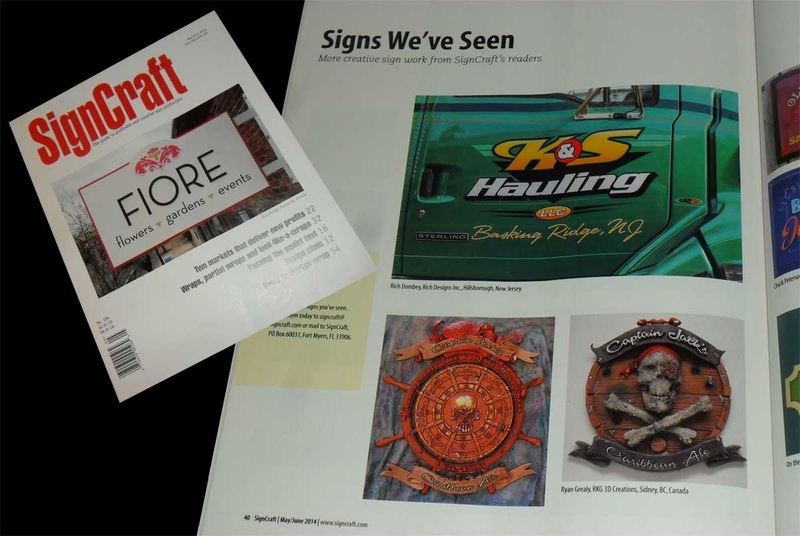 Though I didn't win they did contact me and ask for permission to feature my sign in their Inspiration Gallery under the Metallic Paints Collection. 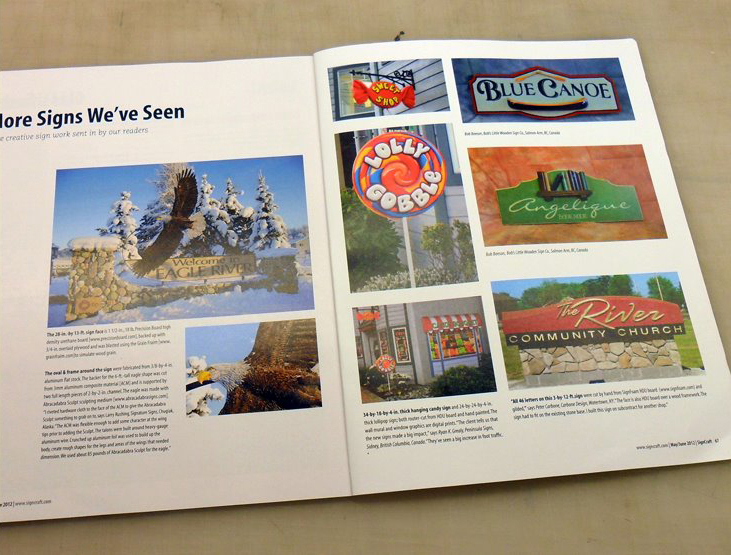 It's an honour to be listed with such projects as the Academy Awards, Kodak Theater, Daytona 500, Le Cirque and Cirque du Soleil. 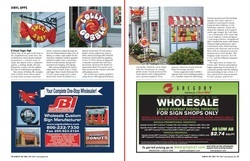 Client: Lolly Gobble Sweet Shop and self-promotion piece "Jogs 4 Dogs"